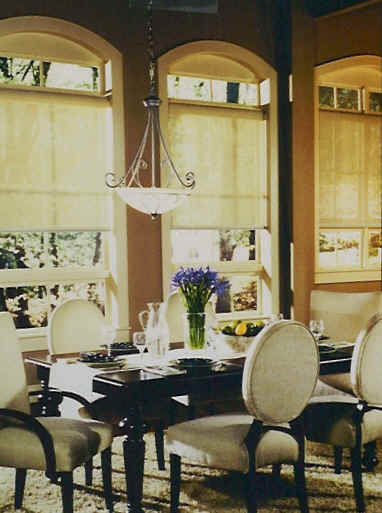 varying from 75% - 100% is available in an assortment of colors and light blocking ability. fascia and affords a very attractive finish to the shade. Note: See our policy on color selection before placing your order. a sample color mailed to you. Outside Mount Dimensions Shade is manufactured to fit width ordered as bracket to bracket width. Inside Mount Dimensions Shade is made for brackets to be mounted inside at top of opening. Fabric deductions vary based on size of shade and clutch from 7/8"-1-3/8". 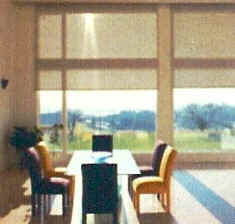 Cloth Dimensions Shade is manufactured to fit width ordered as the actual cloth dimension. Outside dimensions of brackets will be approximately 1.25" wider. Brackets Universal brackets [inside, outside or ceiling mount] in white or black.